Mangroves are trees, shrubs and ferns that grow in the intertidal coastal zone of tropics and subtropics. Occurring in 123 countries and territories, and covering a total of 152,360 km2, they represent less than 1% of tropical forests worldwide and less than 0.4% of the global total forest area. Mangrove ecosystems are rich in biodiversity and provide a wide range of goods and services to human communities living in coastal areas including wood and non-wood forest products, fisheries, medicines, recreation, ecotourism, bio-filtration, nursery grounds, coastal protection, and carbon sequestration. Mangrove forests are the most productive ecosystems known with high biomass accumulation especially below ground. There has been an increasing interest in the important role of mangroves in the global carbon cycle. Mangroves are utilized by local communities all over the world with understanding and appreciation of their values and benefits. However, the loss of mangrove habitat has severe impacts on local and often poor communities, whose livelihood is dependent on forests and fisheries. 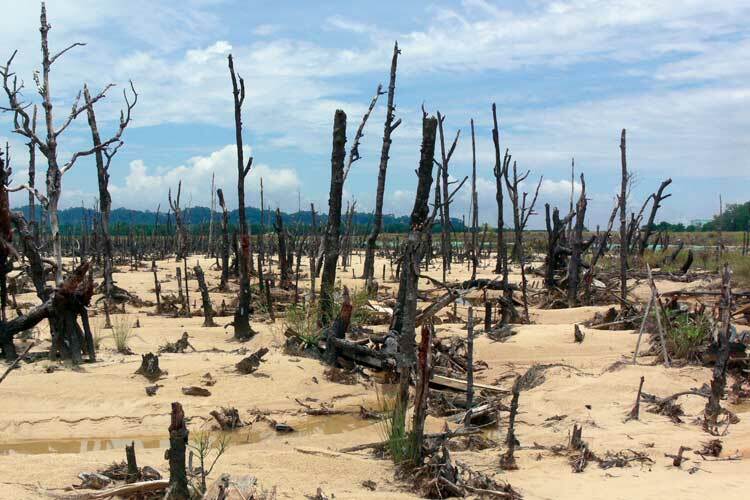 The loss of mangroves is considerable and continuing at a rate of approximately 1% per year, which is 3 to 5 times higher than the overall rate of global forest loss. The loss of world mangroves over the past few decades has mainly been caused by direct conversion of mangrove areas for urban and industrial development, and for aquaculture and agriculture. 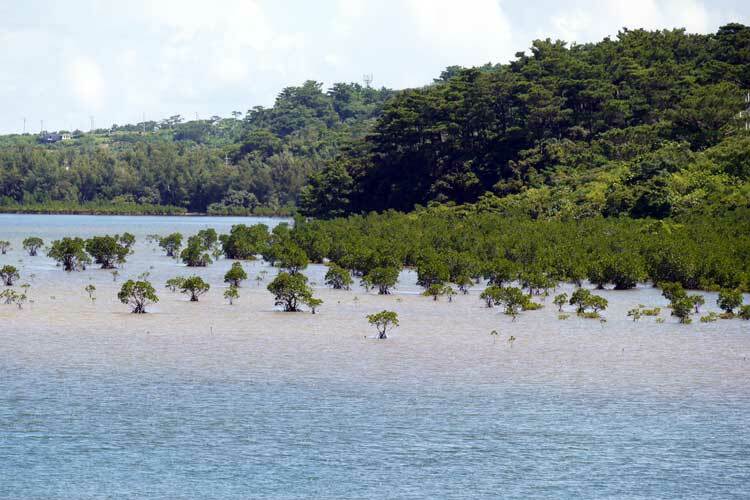 There is an urgent need for conservation and sustainable management of existing mangrove ecosystems and for rehabilitation of degraded mangrove forests. The International Society for Mangrove Ecosystems (ISME) has been carrying out such projects in nearly 20 countries for over 20 years. Knowledge and field experiences gained and lessons learnt by the society have been disseminated through international collaboration and cooperation. More details about ISME projects are here. 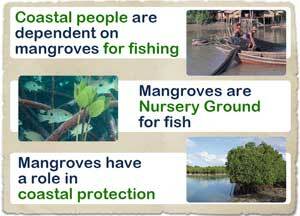 or more details about Mangroves, Go to the website "Mangroves and Their World".